The deadly Togolese cook who was declared wanted for allegedly killing his boss, has been arrested, yesterday at his hideout in Ondo State. He was nabbed just two days after he flee and now at Fagun Police station, Ondo. 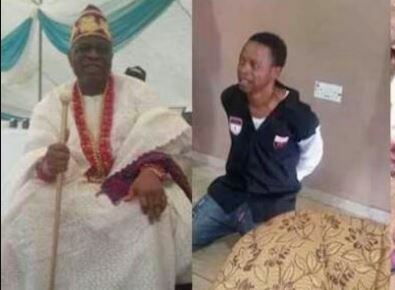 Chief Ope Bademosi, a socialite and Chairman of Credit Switch Technology, had employed the young man as his cook and he killed the businessman in the early hours of Wednesday, at his residence in Ikoyi, Lagos, and fled with valuables. The deceased was reportedly found in a pool of blood by his wife, with multiple stab wounds.